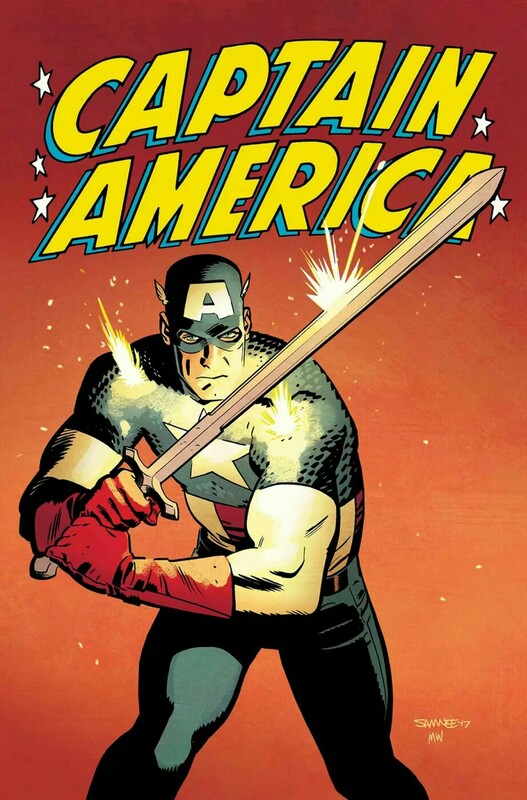 It’s good to see that the last issue of Captain America (which I raved about in this review) wasn’t just a one-time thing. The second issue by the new creative team (storytellers Mark Waid and Chris Samnee) is another terrific adventure, as the classic approach continues to expunge the rank odor of the recent Secret Empire nonsense. By “classic” I mean the series has moved back to the basics: great artwork; a story clearly and imaginatively told; lots of heart in evidence; heroes interacting with real people; a good villain (and one who will benefit from future expansion on his backstory); some well-placed humor; moments of heart and inspiration; and some compelling sub-plots slowly unfolding. I’m loving this series, and I certainly hope this team sticks around for a nice, long run on Cap. And they brought back the head-wings & pirate boots! Now THAT'S CAP!